Some one made some claims which got me checking what I thought I knew so I got looking into my old Nebraska Tractor tests. These tests were mandatory for a new tractor to be sold in that state and have since changed to the eouropean test standards. I never said they are as good as gear drive on a hard pull but they certainly are not at a 20% loss. I'm going to use two tests that were done on 100 PTO horsepower tractors one hydro the other a gear. Test 1123 is for the 966 gear drive and for two hours they ran it at 85.21 drawbar horsepower max with 6606lbs pulled at 4.84. Then at 75% for 70.99 drawbar horsepower with a total weight of 13,670lbs. Test 1158 on a IH hydro 100 was at 78.31 drawbar horsepower at 5287 lbs at 5.55 mph. 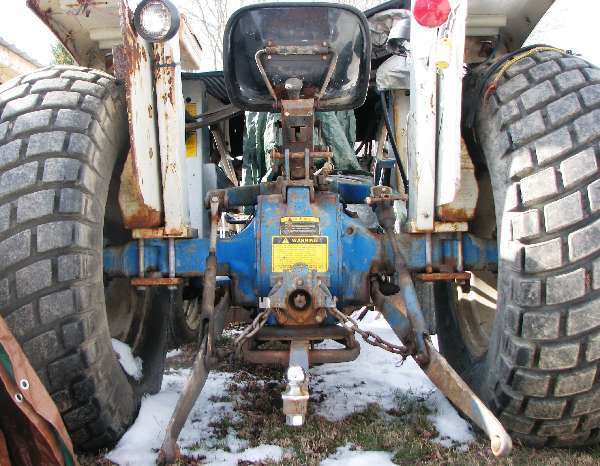 The 75% pull was 67.68 drawbar horsepower with a total tractor weight of 12,765lbs. Now mind you this was only a two range transmission not like many of the larger compacts with a three range which could make a big difference in the amount pulled here. Hydro's were made for PTO work not pulling but they still aren't bad. Fuel consumption is also higher on the hydro during that pull but just think of the ease the rest of the time! Art, thanks for digging out all the info for us. I had'nt given the three stage gear trans behind the hydro unit much thought, but you're right, using low range in the newer three speed tannys does give the hydro unit lots more mechanical advantage than the older two range systems. A prime example was in the "20" series Deere combines which had a hydro ahead of a four speed transmission. If you had a wet fall harvesting in the mud it wasn't hard to get the hydro fluid temperature warning light to come on running in third gear, but droping back to second gear let the hydro spin faster taking lots of stress off of it. You're dead right on the second part of your post in that hydro tractors serve two main purposes, the greater of the two being a PTO tractor where the majority of your tractors power is being consumed by the PTO driven unit with the tractive part of the power being of lesser need. Second, they are a transmission of convenience where absolute fuel effeciency is not an important factor. I do run the wife's lawn tractor now and then and it is pretty neat to have that infinite speed range. With proper use and maintenence hydro units have a reputation of nearly never wearing out. So it all boils down to what anyones personal preferences for ease of operation or how important absolute fuel effecincys really are. My sermon for the day. Frank.